ID: 48 ~ Source: University Archives Photograph Collection, UA 8. ~ Creator: College of William and Mary. 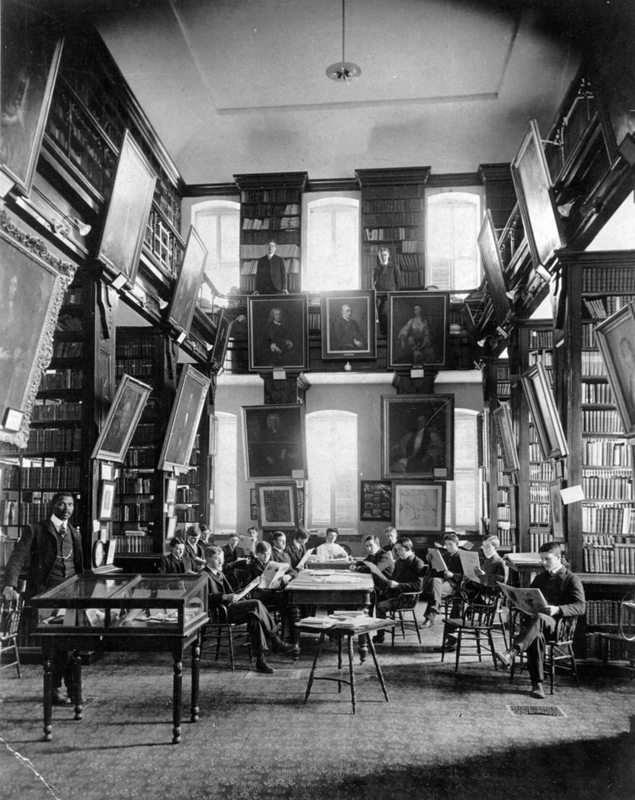 Students with "Doc" Billups and Emily Pryor Christian, Librarian, in Wren Building library circa 1900.